So I've reached the home straight - the end of my pregnancy is looming and I can not wait to meet my beautiful little girl. To celebrate and thank you for being with me throughout my journey so far I thought I'd run some giveaways. Throughout my pregnancy I have been taking Pregnancare supplements and I intend to carry on taking them whilst I'm breast feeding too. 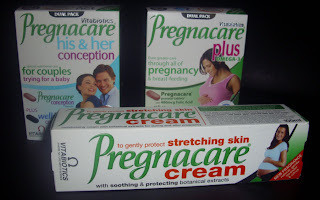 I have some fab Pregnacare goodies to giveaway to one lucky reader - just make sure you're a follower and comment below - the winner will be announced on 1st August 2010. 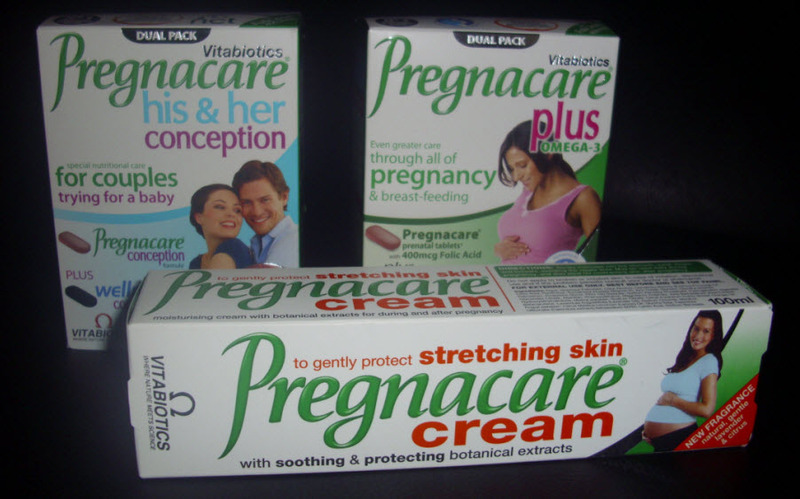 The prize consists of 1 x Pregnacare His & Her Conception Dual Pack, 1 x Pregnacare Plus Omega 3 Dual Pack and 1 x Pregnacare Stretching Skin Cream worth over £35. Non bloggers/ Non Twitter users can email me to win at secondtimemum@live.co.uk using the subject line "Pregnacare Prize Draw". I will draw the winner from Random.Org and the closing date is Saturday 31st July - Midnight GMT. I've just become a new follower & would love to win this lovely loot! Wishing you all the best with the end of your pregnancy and all that comes after it. Glad to know you are in the home stretch, hope things go as smoothly as possible for you. Great giveaway, so generous of you. I am also on twitter @utterlyscrummy. I used this all through my last pregnancy and am using it through this pregnancy too as I'm not a great eater of meat and vegetables!! I'm also intending on using it through breastfeeding it as I did last time so I would love to win the fab giveaway!! Such a fantastic giveaway!!! Good lucky everyone! Wow what a fab giveaway ! Leanne. Good luck over the coming days and weeks. I'd love to win this prize. Hi I've just joined and would love to win the goodies too!